This 34 year old female patient expressed interest in having abdominal liposuction (liposculpture). 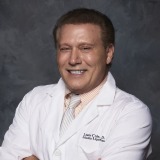 The patient had tumescent microcannular liposuction and SmartLipo done under local anesthesia by Dr. Louis D. Cole. The patient had remarkable skin tightening and is extremely pleased with the results. She is planning her second surgery of her arms, hips and waist.